“My only dream is to travel, I wish to capture this scene from the air, not from the ground. I am 30, live in Gaza and [have] never travelled.” These were the lines of Yaser Murtaja, a photojournalist, a few days before he was killed. On Friday, Israel continued its series of massacres in the besieged city of Gaza with snipers killing Yaser and nine other civilians during the Great March of Return protests. 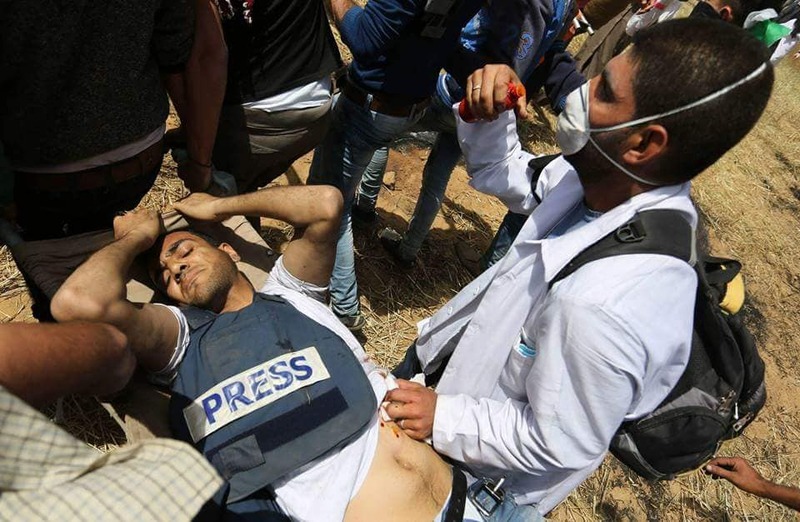 According to sources, snipers also injured around six journalists covering the massive march where tens of thousands of Palestinians demanded their right to return to their land occupied by Israel. 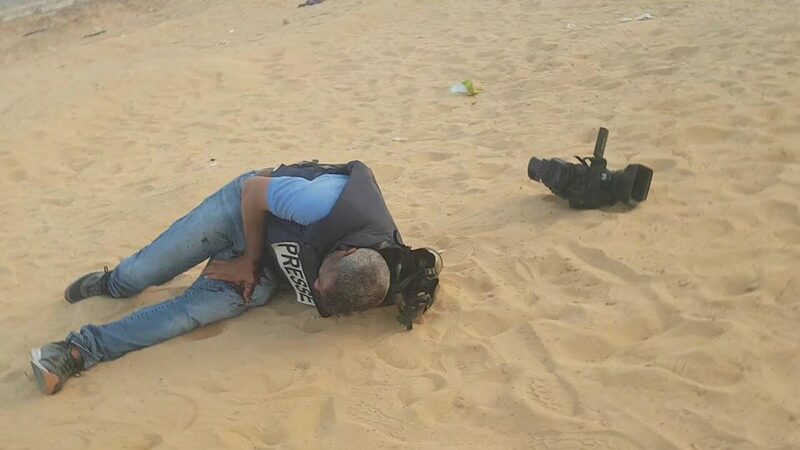 Journalists were targeted despite wearing flak jackets marked with press identification. 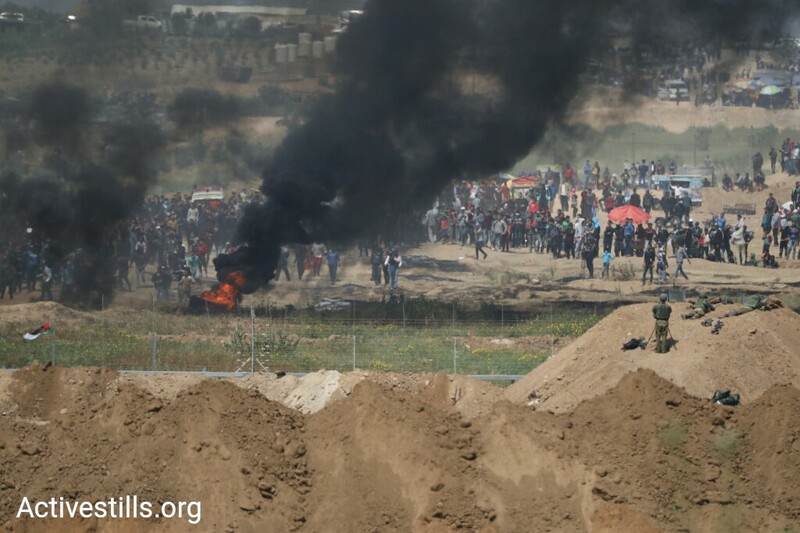 During the second round of protests on Friday, Palestinians burned tyres along the Gaza border to protect themselves from Israeli sniper and tank fire. The Great Return March is a 45-day protest festival that will culminate on May 15 - Nakba Day, also known as the day of catastrophe - when Palestinian Arabs were thrown out of their land and their houses were destroyed by Israel in 1948, leading subsequently to their being caged into the West Bank and Gaza. 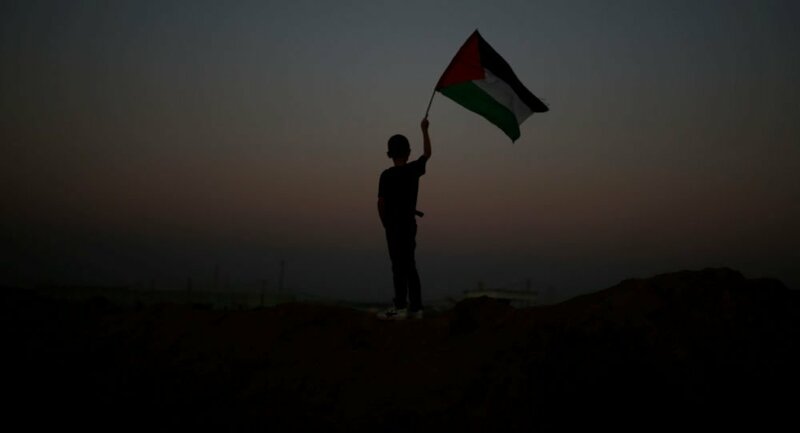 During the protests, Palestinians built a tent encampment with different tents corresponding to the various villages and towns that were destroyed during the Nakba 70 years ago. Among those killed by Israel on Friday were two children, Alaa-Eddein Al Zamli (16) and Hussein Madi (14), taking the number of children killed to three. Since the beginning of the march, 1,752 persons have been injured—1,150 of them by live fire. 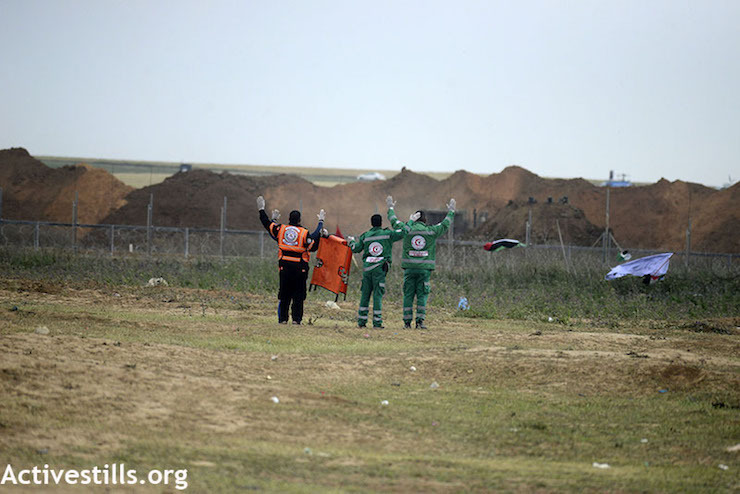 Among the injured were 290 children, 51 women, seven journalists, and three paramedics. In total 32 Palestinians have been shot dead by Israeli forces. Observers sought an international investigation into the war crimes and said that the use of lethal force by the Israeli Defence Forces (IDF) against unarmed civilians and those protected under international law is a clear violation of the Fourth Geneva Convention. Blaming the protesters “of trying to storm into Israel”, the IDF deployed both live fire and tear gas at the protesters, while fire trucks sprayed water at the burning tyres on the other side of the border. Despite international criticism of Israel’s violent repression of unarmed protesters, the country’s Defence Minister warned the protesters and said it would not change its open fire policy. 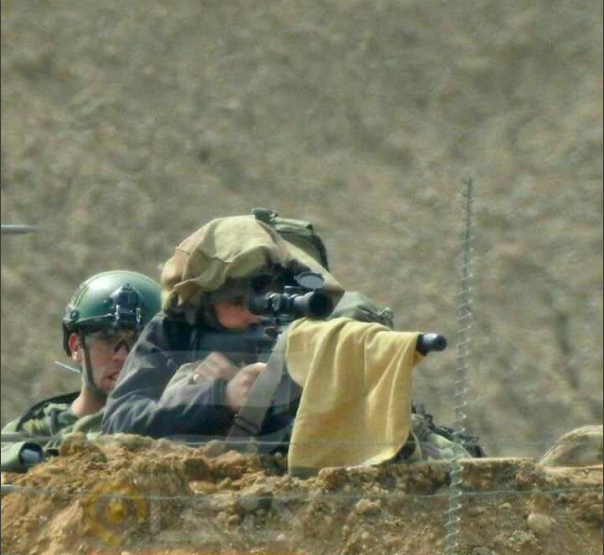 Israel has deployed more than 100 snipers with orders to shoot anyone approaching the buffer zone near the Gaza border. “Israeli soldiers were not merely using excessive force, but were apparently acting on orders that all but ensured a bloody military response to the Palestinian demonstrations,” said Eric Goldstein, deputy Middle East director at Human Rights Watch, in a statement. “The result was foreseeable deaths and injuries of demonstrators on the other side of a border who posed no imminent threat to life,” he said. Meanwhile, at the United Nations, for the second week in a row, the U.S. vetoed a U.N. Security Council (UNSC) statement calling for an independent inquiry into the killing of Palestinians in Gaza by the IDF. Last week, a similar statement sponsored by Kuwait was vetoed by the U.S. Already reeling under a severe humanitarian crisis due to the long-running Israeli blockade, hospitals in Gaza are currently overwhelmed by the large number of injured and is in urgent need of anesthesia and other essentials. According to the U.N. Office for the Coordination of Humanitarian Affairs (OCHA), the Gaza Ministry of Health reported that hospitals were running out of medical supplies needed for emergency and trauma management, and replacements from the Ministry of Health in Ramallah were yet to arrive. The Palestinian Red Crescent Society, which has established five advanced medical posts near various protest sites, also warned of a shortage of medical supplies and of personal protective equipment for their 400-person team. The medical humanitarian organisation, Médecins Sans Frontières (MSF), warned that in the weeks to come, more medical assistance would be required due to the increasing intensity of use of force by the Israeli forces. “We were already facing a worrying increase in the number of people shot by Israel Defense Forces at the border since December 2017 in the context of the Palestinian demonstrations that followed the announcement of U.S. President Donald Trump recognizing Jerusalem as the capital city of Israel,” said Marie-Elisabeth Ingres, MSF’s representative in Palestine. “The number of patients with trauma injuries rose to 20 per week while it was 20 per month before November 2017,” she added. It is feared that as the day of Nakba approaches, Israel’s violent response will be intensified. U.S. President Donald Trump had said that the shifting of the U.S. embassy from Tel Aviv to Jerusalem, which has been widely condemned internationally, will take place during the Nakba, which Israel celebrates as its day of establishment.